Integrating User Defined Coordinate System into PyQGIS? my .shp file has the default coordinates of EPSG:4326 my raster file has a user defined coordinate and I can't save these two layers as one image. I am new to using QGIS and Python. Browse other questions tagged coordinate-system pyqgis qgis-2 rendering or ask your own question. 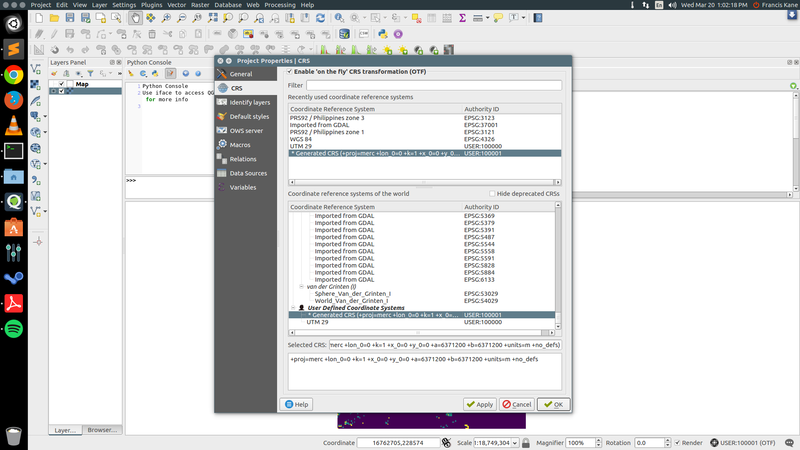 How can I specify the CRS of a raster layer in pyqgis? User defined Coordinate Reference System (CRS) in QGIS is not located where expected? How can I set the project CRS to an existing User Defined Coordinate System with python in QGIS? 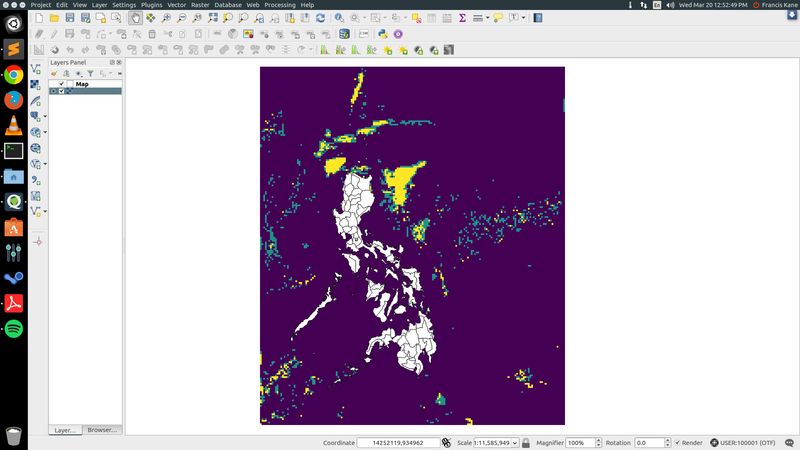 How to project and scale layer to cartesian (x,y) in QGIS? Importing custom coordinate system into ArcGIS Desktop?